The Tony Stewart saga continues and Fanatic Radio goes in depth of the possible verdict that could be reached next week, where Stewart goes from here and will this shake up the sport. Mike and Ben assess the early stages of NFL preseason of who's hot and who's not with Johnny Football and Mike Vick and what is the Ice Bucket Challenge? When people talk about college football on TV, they immediately think about ESPN, and rightfully so. Fox probably comes next in the minds of most. However, one should not ignore CBS Sports Network as they feature action from the Mountain West, the American, Army and Navy. Here are their commentary crews for 2014. The schedule for the 2014-15 NBA season was released last night and with that, we have the NBA on TNT slate. Their slate commences with an October 28th doubleheader featuring the Spurs' ring ceremony as they host the Mavericks, following by the Rockets visiting the Lakers. All in all, TNT will air 53 games with 19 doubleheaders on their signature Thursday night coverage as well as All-Star Weekend from New York in February. So without further ado, here's the television schedule, as well as announcing assignments, for the NBA on TNT. The schedule for the 2014-15 NBA season was released last night and with that, we have the NBA on ESPN slate. Their slate commences with a Wednesday doubleheader on October 29th with the Bulls visiting the Knicks following by the Thunder visiting the Blazers. 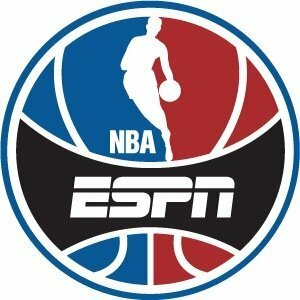 ESPN will air 75 games with 34 doubleheaders all season long, largely on Wednesday and Friday nights. So without further ado, here's the television schedule, as well as announcing assignments, for the NBA on ESPN. The schedule for the 2014-15 NBA season was released last night and with that, we have the slate for the Association's broadcast television partner, ABC. Their slate commences with a Christmas doubleheader with a rematch of the Western Conference Finals followed by LeBron James's return to Miami. Then in the new year, the Sunday Showcase returns with 13 telecasts over the balance of the season. So without further ado, here's the television schedule, as well as announcing assignments, for the NBA on ESPN on ABC.